You can split your £20,000 annual Individual Savings Account (ISA) allowance among four different types of ISA but not into more than one ISA of the same type in the same year. That means you can open four ISAs per tax year. Your allowance can be invested over the course of one tax year which starts on April 6th. The four types of ISA are: cash ISAs, Stocks and Shares ISAs, Innovative Finance ISAs and Lifetime ISAs. A Cash ISA is like a bank savings account. The account never falls in value and pays you a constant but small rate of interest. The drawback of low risk is low return; while interest rates are low you may struggle to beat the rate of inflation. If you earn below your Personal Savings Allowance and you are a basic 20% rate taxpayer you only pay tax on your savings interest if it exceeds £1,000. For higher 40% rate taxpayers your limit is £500. If you're above this limit for the tax year a cash ISA might make sense as you don't pay any tax on savings interest in a Cash ISA. A Stocks and Shares ISA can be used to invest without having to pay capital gains tax or tax on income generated by investments. These investments can be much more risky than cash ISAs which means if stock and bond markets fall you could make a loss on your investments. Stocks and Shares ISAs can also be used to buy investment funds, such as Exchange Traded Funds (ETFs) or investment trusts or bonds so the name is rather misleading. Most online stock brokers offer an ISA, but fees vary widely so it pays to shop around. Innovative Finance ISAs are for higher risk investments that potentially offer higher returns, but also come with a greater risk of loss. These include peer-to-peer lending, where you lend money directly to other people or to companies using a website as an intermediary, and crowdfunding investments. Large peer-to-peer lending companies include Ratesetter, Funding Circle and Zopa. Crowdfunding companies that offer an Innovative Finance ISA include Crowd2Fund and Crowdstacker. Your Personal Savings Allowance also applies to interest earned in peer-to-peer lending, so it may be advantageous to hold such investments within an Innovative Finance ISA. One goal of a Lifetime ISA is to help people below 40 years of age save for their first home, as long as the value of the home is below £450,000. Another goal may be saving for retirement. You can withdraw the funds from a Lifetime ISA if you are over 60 or terminally ill with less than 12 months to live. How Many ISAs Per Household? The £20,000 limit applies to each adult, but if we think in terms of households the limit is higher. If you are married or have a civil partner you each have a £20,000 limit each year. If you are a parent or guardian of a child under 18 each child has their own Junior ISA limit of £4,260 per year. The Junior ISA can be split between one Cash and one Stocks and Shares ISA. A parent or guardian of a child opens and manages the ISA but the money belongs to the child who can take control of the account when they are 16 but can't withdraw money from the ISA until they are 18. Once open, anyone can pay into the Junior ISA up to the annual limit, so grandparents, uncles, aunts or even friends can make a lasting, annually compounding, gifts for your children. Unlike adult ISAs Junior ISAs are limited to one ISA provider for each type. You can't switch Junior ISA provider from year to year. If you do want to change provider you'll have to transfer the investment from previous years to your new Junior ISA account. The minimum age limits vary by ISA type but to be eligible for an ISA you must be resident in the UK (or if not resident then a Crown servant, such as a member of the armed services living abroad, or their civil partner). 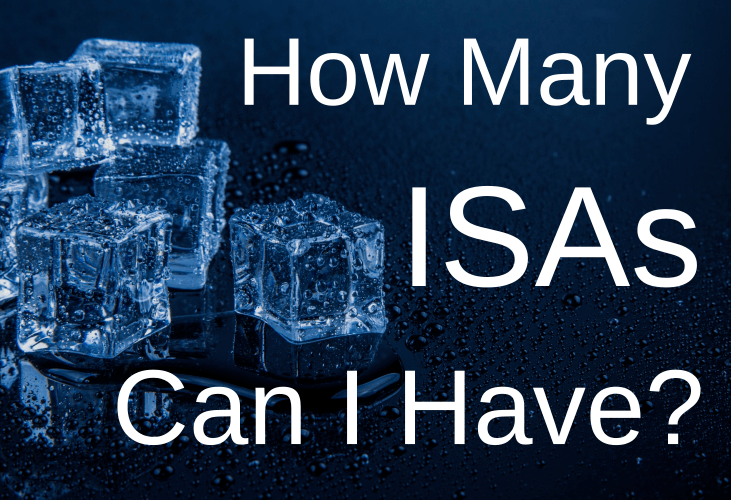 How Many ISAs from Previous Years? Notice that you can open an ISA with a different provider of the same type each tax year. That means that you could have up to twenty ISAs of the same type e.g. stocks and shares ISAs which have accumulated over the years. This can become unwieldy if you have to log in to several websites and use several passwords. Some people choose to transfer old ISAs into a single account for this reason. Just to illustrate how complicated this could get here's an extreme example. In the example above we've switched ISA provider every 5 years so that over the 20 year history of ISAs we have accumulated 5 different providers. But in theory you could have chosen a different provider each year and have 20 ISAs! How Much Could You Have Saved? If you had invested your full ISA limit the total you could have saved is £206,560. 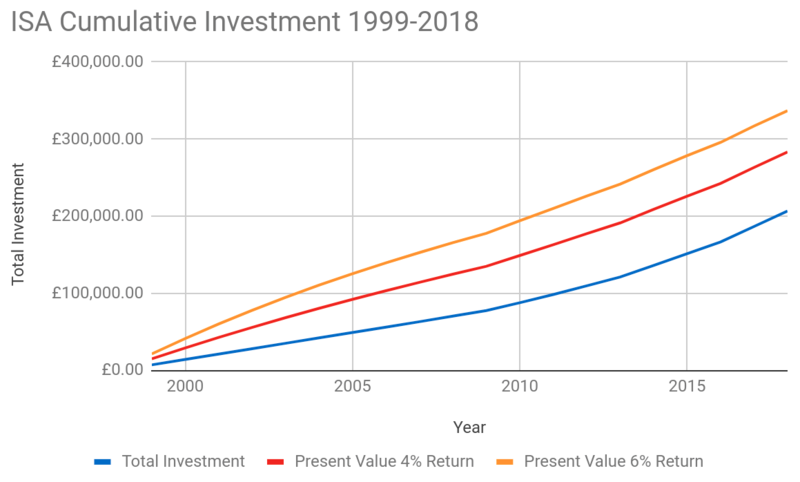 If you had received an average return of 6% per year on your investments that would now be worth £336,900. 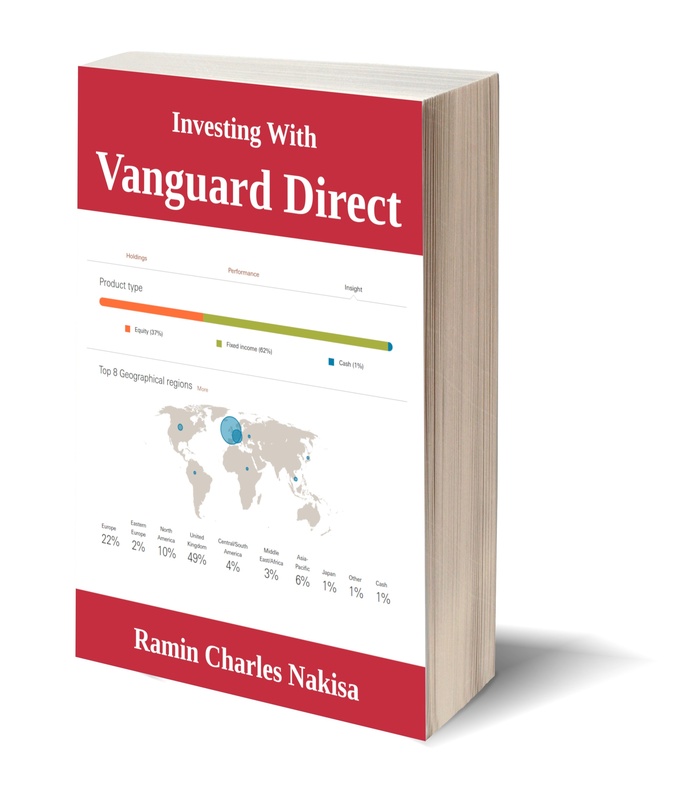 If both you and your partner had invested the full limit that would double the value. If you're annoyed that you missed out remember it's never too late to save, but the sooner you do it the better. And remember that fees compound as well as returns. Over the 20 year history of ISAs a 2% fee would have compounded to a total fee of £54,000 or 41% of your return. On the graph above see how the high-fee line (red) drops further and further below the low-fee line (orange) as 2% fees steadily eat away your returns. This is why you will receive a huge long-term payoff if you shop around for an ISA provider that has low fees. Our course on Finding the Right Investment Platform will help you compare platforms to find one that suits you for a reasonable price.